Head Tube Bottom is the distance from the bottom bracket to the bottom of the head tube. BikeCAD Pro presents this distance in X and Y components. 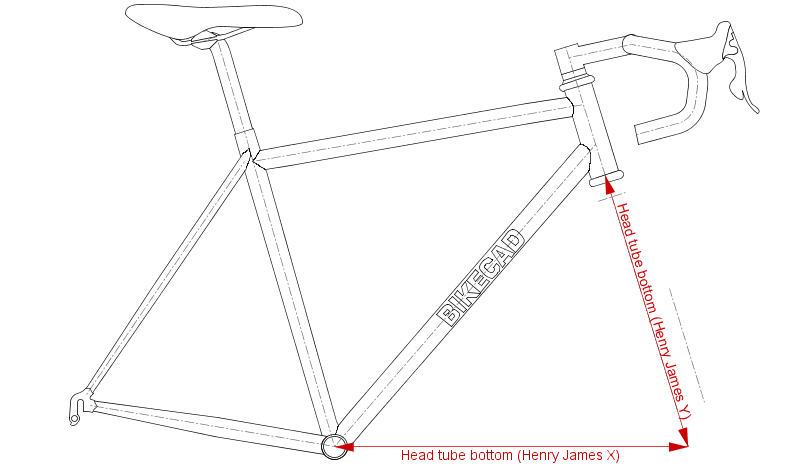 The Henry James jig requires a couple of other dimensions that are related to Head Tube Bottom. 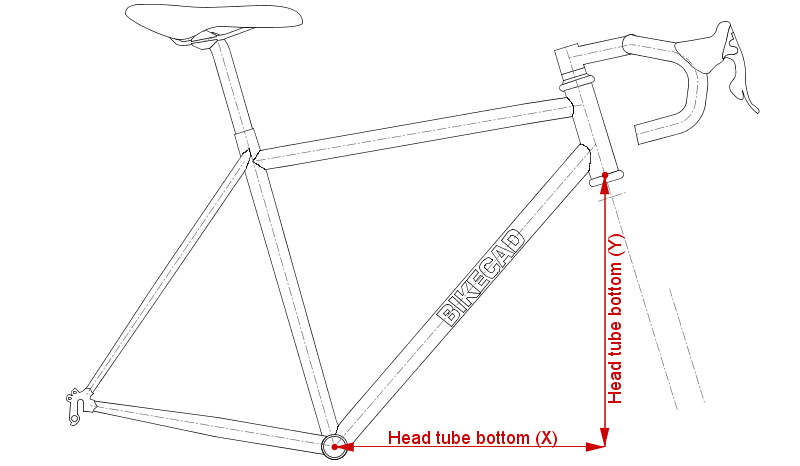 Head Tube Bottom (Henry James) is the dimension shown below. It is just like Head Tube Bottom except it is measured in line with the steerer tube. 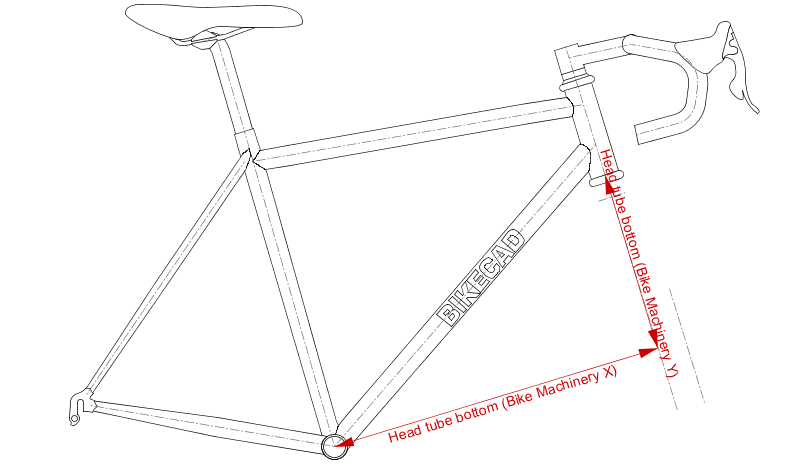 Finally, there is also a dimension called Head Tube Bottom (Bike Machinery). This dimension is illustrated below.